Argmon growled and pushed Joey’s hands away from the console. With Vic unconscious, the Shathar didn’t want to take any instructions from Joey. With bared teeth intended to intimidate the boy, Argmon flexed his four arms and snarled. If Joey hadn’t known Argmon he’d be certain that the beast could eat him. June pressed a button on the console for Joey and a display of the area appeared on the screen. Argmon shook his head and growled. The computer went quiet all except for a slight ticking noise. Joey smiled and put his hand on June’s shoulder. She had done nothing but impress him since he’d arrived. Since she’d kissed him, Joey could think of little else. She returned his smile and her pale blue eyes sparkled. Joey knew he’d been smitten and he liked it. Vic looked like hell warmed over, his face pallid and sweaty, his body slack as if he didn’t even have the strength to remain standing. That fact was accentuated by Vic’s hand on the wall to remain upright. June beamed and held Joey’s arm. Vic gave a disapproving frown, but didn’t say anything. Joey couldn’t read Vic’s expression. Perhaps it was the poison, but he didn’t look or sound hopeful. Joey explained the course and even had Tootsie confirm it. All the while Vic sat expressionless. When Joey finished, Vic crossed his arms across his chest. Vic sighed and looked at the floor. He looked defeated. Defeated physically, mentally, possibly even spiritually. He’d failed to notice that Mike deceived the crew, nearly costing him his life. He failed to get the shipment back on time on his own. He’d let everyone down by being tailed by the police. Joey tried not to smile. The victory felt wrong and bittersweet. Joey only wanted to help. Instead he made Vic look, and very likely feel, useless. Vic started to stand up and Joey lurched forward, hesitated, then helped Vic stand up. Argmon narrowed his beady eyes at Joey, causing him to swallow hard. Maybe they’d all be happy once they made it to Planchar on time. Maybe. 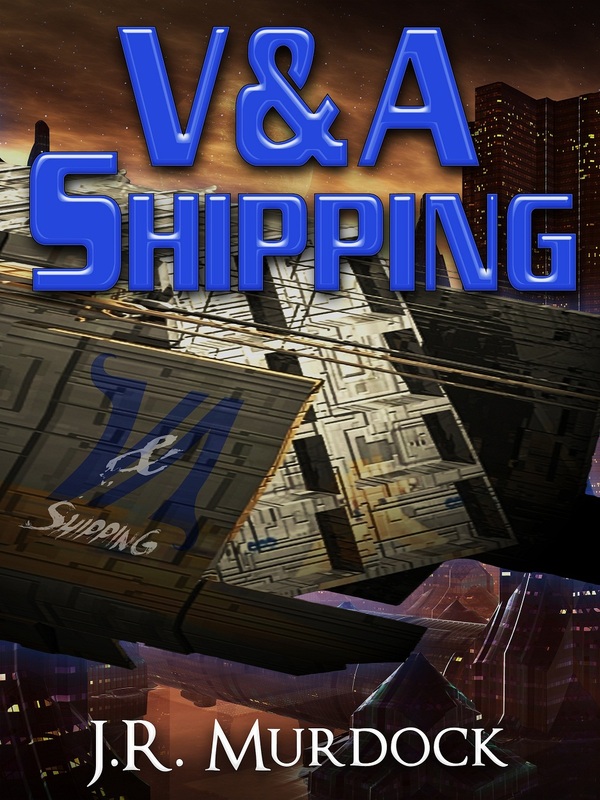 Posted on March 5, 2013, in V&A Shipping and tagged chapter, read along, v&A shipping. Bookmark the permalink. Leave a comment.